In this tutorial I will show you how to make your own Internet Of Things (IOT) thermometer by using the Arduino uno board. 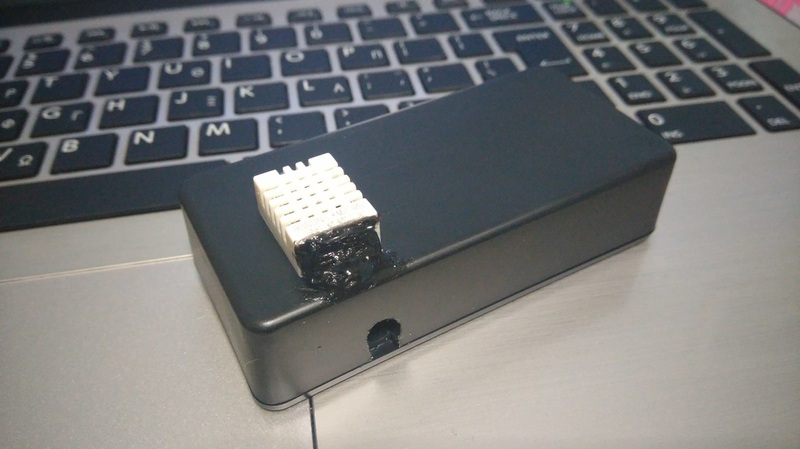 You can use it at home, at the office, or anywhere there is an internet connection, for indoor or outdoor data logging. 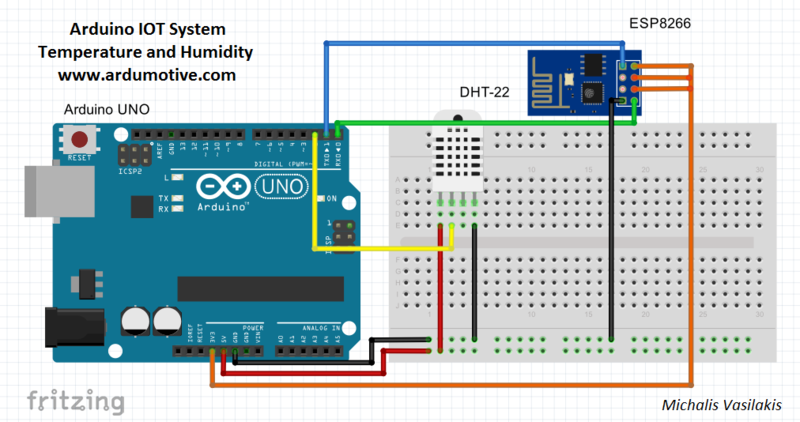 Ιn this project we will use the DHT-22 sensor to take temperature (oC) and humidity (%) values every one hour. 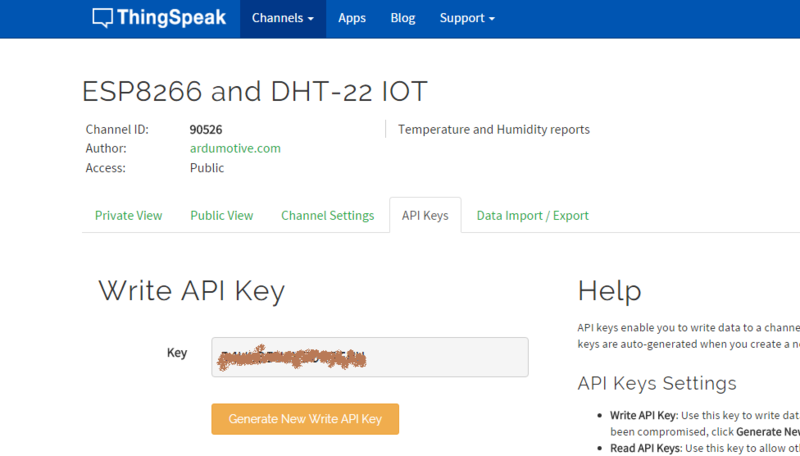 For the internet connection we will use the ESP8266 WiFi (serial) module because it's small,cheap and easy to use, and for data logging we will use the open data platform for the Internet of Things "ThingSpeak" (www.thingspeak.com). You can also make monthly or yearly average charts and see how your climate change affects your area! ...and off course some breadboard wires. The connections are pretty easy, watch the above image with the breadboard circuit schematic. Visit www.thingspeak.com and click on the "Get Started" button to make a free account. Now click on the "New Channel" (second image). Give it a name and select two fields. If you want you can fill more info about your channel, e.g. Latitude and Longitude of your sensor. If you want to share sensor info with your friends (and more..) click on the "Make Public?" check box option. Finally click on the "Save Channel" button. Click on your new channel and select the API keys tab (third image). Copy your "Write API Key" , you will need it in the next step. 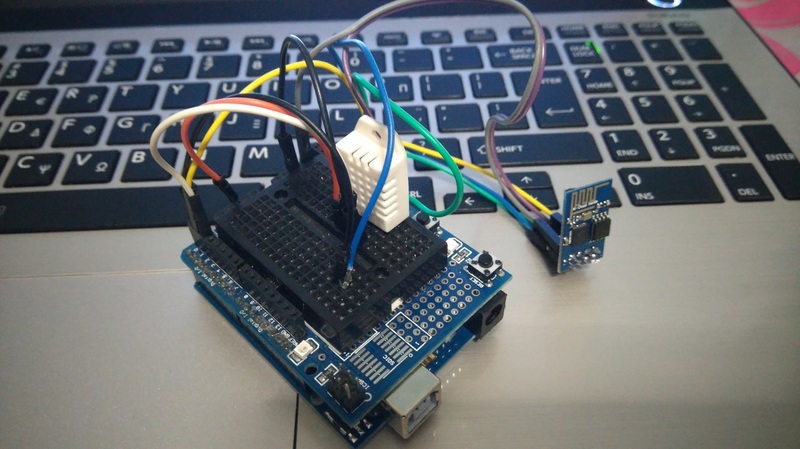 #define SSID "name" // "SSID-WiFiname"
#define PASS "password" // "password"
Try downloading the Codebender plugin and clicking on the "Run on Arduino" button to program your Arduino board with this sketch. And that's it, you've programmed your Arduino board directly from your browser! Now you can re-connect the RX and TX cables. 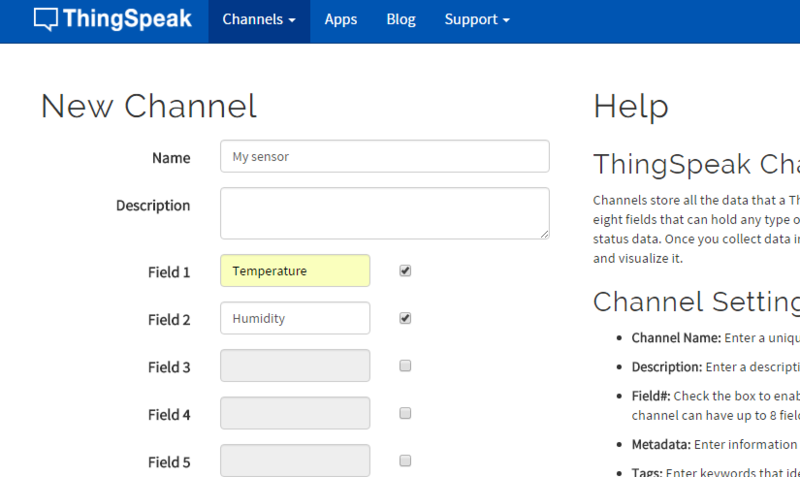 Now check your ThingSpeak channel to see the first sensor's info! The "delay(3600000);" will send data to your ThingSpeak channel every one hour. It's not the best way for counting, but it's working fine ;). Check it again in one hour! You can also download the "ThingView" application to your android device! 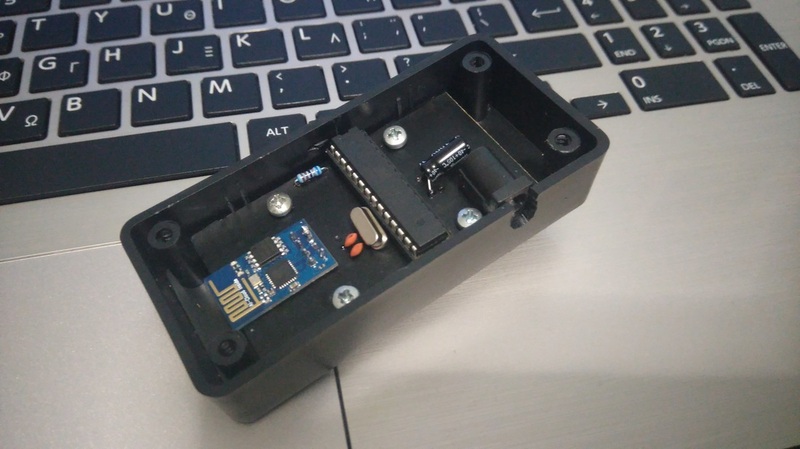 You can make your own Arduino-based circuit and put it in a small box, just make sure that the sensor will be out of it. 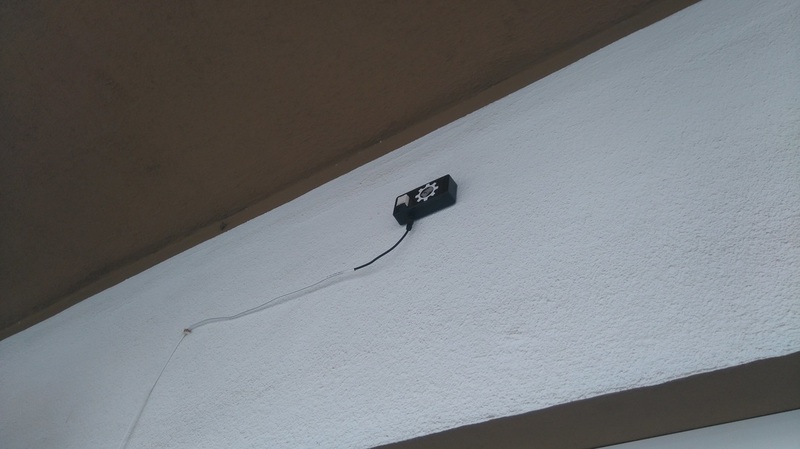 I made mine and placed it on the wall outside of my house, you can check my temperature and humidity values here! You have successfully completed this guide and now you have your own Arduino IOT device up and running!